Marc Pally was born in Los Angeles in 1946, attended Universidad de Guanajuato, Mexico in 1964 followed by the University of Nottingham, England in 1966-67. He received his BA from Antioch College, Yellow Springs, OH and his MFA from CalArts in 1978. He was included in a group exhibition at San Diego Institute of the Arts in 1975 and another in 1977, “Drawing Show” at Gallery 91, Brooklyn; he was then in various group exhibitions at CalArts, Los Angeles Contemporary Exhibitions (LACE), and Claremont Graduate School, Libra Gallery. His early one artists shows were with the Ulrike Kantor Gallery in 1981 and 1984. 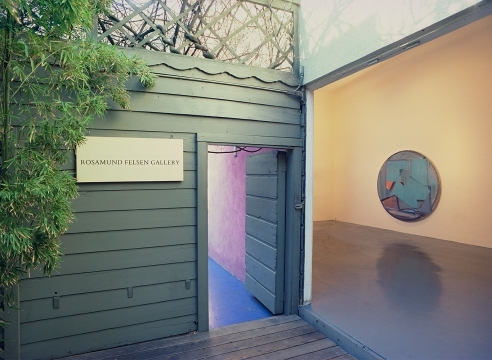 Pally first exhibited with Rosamund Felsen Gallery in 1986. He was the “New California Artist XIII,” at Newport Harbor Art Museum for which there was a catalogue. He continued to be included in numerous group exhibitions such as at Fisher Gallery, USC; Art Center College of Design, Pasadena; Newspace Gallery, Los Angeles, Richard Khuhlenschmidt Gallery, Los Angeles; Louis Meisel Gallery, NY; “First Annuale,” curated by Ned Rifkin, LACE; UC Irvine; “CALARTS: Skeptical Belief(s),” Newport Harbor Art Museum; Museum of Contemporary Art, Los Angeles; College of Creative Studies, UC Santa Barbara; Selby Gallery, Ringling School of Art & Design, Sarasota; “Between Reality and Abstraction, California at the End of the Century,” traveled from Art Museum of South Texas, Corpus Christi; Honolulu Academy of the Arts; and numerous venues. Pally's work is the in the Permanent Collection of Los Angeles County Museum of Art, Portland Museum, Portland, Maine; and UC Santa Barbara. For many years he has worked with the Cultural Affairs Department of the City of Los Angeles to develop the “Los Angeles Cultural Masterplan." Previously he was a design team member of the San Diego Department of Water Headquarters Facility and had been Program Coordinator for California/International Arts; Executive Committee member of Los Angeles Task Force on the Arts; and City Planner, Community Redevelopment Agency of Los Angeles, Art in Public Places Program. Today the artist is very involved with arrangements for public arts. He lives in Los Angeles.